So the install is going great. Installed the ball valves on the intakes tonight - a little difficult since I drilled the intakes too close together, but I got them on. 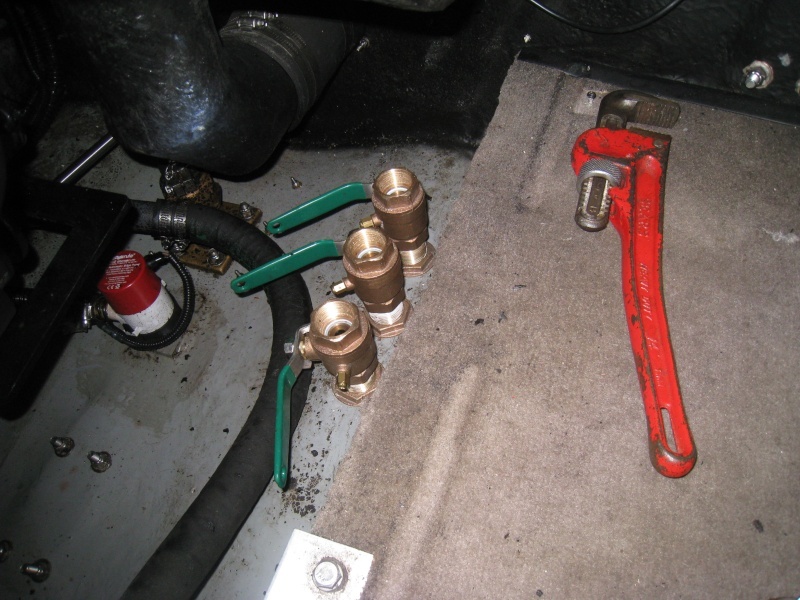 Then installed the pumps. 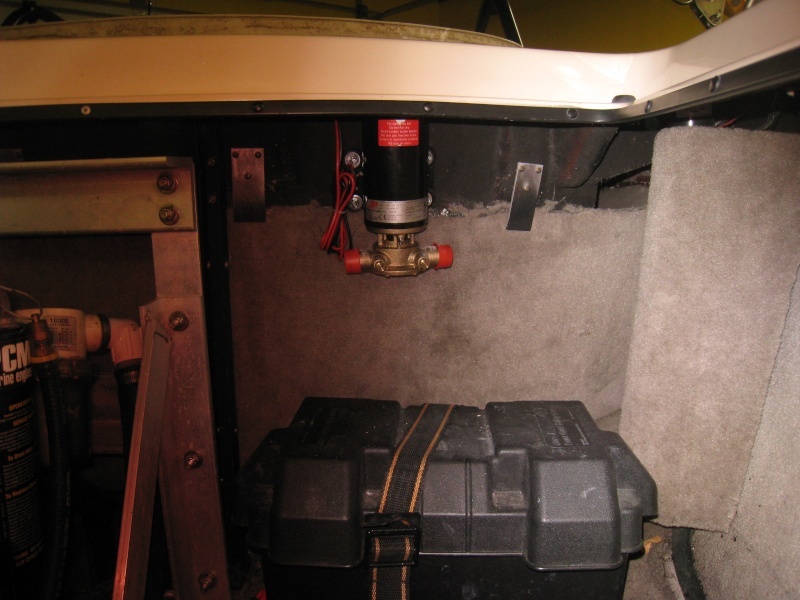 Removed the backseat to make the pump install easier and it was well worth it - clean install and great locations. Going to start piping it together Thursday night. looks sick! do you have 1 battery or 2? You should run wire for a 2nd if you dont have it....get it ready for wetsounds!!! Only one battery now, been thinking about if I should do a second or not. Stereo upgrades are going to start as soon as this ballast install is done, but think tower speakers have to wait until next year. Between the ballast, stereo, new cover and $2k for a slip I'm already flying through the cash! Yeah, I can understand that! looks awesome eric! Whats on the crossmember behind the motor? I think stock mounting location for the 2010/11 210's is right there. Looks like you have a perfect spot for them there so they are out of the way of storage. But hey if they're mounted, working and all done then leave em! Nothing is on that cross member, but it seemed like it would be a tight spot to change out impellers if need be. It was easy to mount where they are now, but they are mounted through fiberglass si I'll have to monitor to see how it holds up. The tourque from turning the pumps on could be too much for the fiberglass. 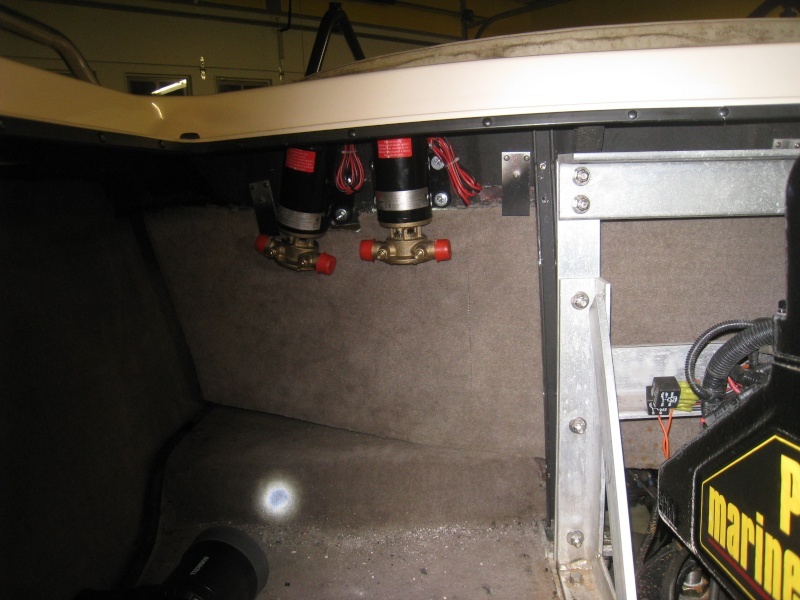 Should be okay, though as the pumps are mounted on rubber bushings and have good sized washers against the fiberglass. I start piping stuff together tonight.